We introduce our readers to a new topic today: Being in a hospital bed in a Medicare-participating hospital is no guarantee that a Medicare beneficiary is an inpatient. In the Center for Medicare Advocacy’s December 11, 2008 Alert, we described the increasingly common practice of placing Medicare beneficiaries in acute care hospital beds and calling them outpatients, on “observation status.” It may sound like Alice in Wonderland or 1984 or some other fiction. Unfortunately – it’s not. Beneficiaries who remain in hospital beds for multiple days, or even weeks, receiving physician and nursing services, tests, medications, food, and supplies, are in many instances nevertheless identified as outpatients. One major consequence of outpatient status is that beneficiaries are denied coverage for a subsequent stay in a skilled nursing facility (SNF) on the grounds that they have not been inpatients in the hospital for three or more consecutive days. Beneficiaries receiving outpatient observation services, which are covered under Medicare Part B, are also billed for services such as prescription drugs that would ordinarily be covered under Medicare Part A during an inpatient hospital stay. Placement in observation services has the effect of shifting significant health care costs that should be covered under Medicare Part A from the Medicare program to Medicare beneficiaries. At the same time that the use of observation services is becoming more extensive by hospitals throughout the country, some beneficiaries who have appealed the denials of their hospital stays have been successful. This Alert describes a new brochure from the Centers for Medicare & Medicaid Services (CMS) – CMS’s first description of observation services for beneficiaries. It also discusses three recent favorable decisions – two at the Administrative Law Judge level of appeal and a third at the level of the Qualified Independent Contractor (QIC), Maximus Federal Services. A fourth case, which is not about observation services, addresses the InterQual criteria and process that are used by hospitals to determine whether a patient is receiving inpatient care. Observation services are defined in Medicare’s manuals as a well-defined set of specific, clinically appropriate services, which include ongoing short term treatment, assessment, and reassessment, that are furnished while a decision is being made regarding whether patients will require further treatment as hospital inpatients or if they are able to be discharged from the hospital. A new six-page CMS brochure entitled “Are You a Hospital Inpatient or Outpatient?” begins with the statement, “Did you know that even if you stay in the hospital overnight, you might still be considered an ‘outpatient’?” The brochure suggests that patients who are in the hospital for “more than a few hours” ask their doctor or hospital staff if they are inpatients or outpatients. The brochure incorrectly suggests in two places that decisions to place a beneficiary in observation are made by the beneficiary’s own physician. In fact, this is often not the case; CMS allows any physician to confirm a decision by a hospital’s UR committee to reverse an inpatient admission decision made by an attending physician. The brochure may have the effect of discouraging beneficiaries from appealing their placement in observation services if they erroneously believe that their attending physician ordered observation services. As discussed below, the Center encourages beneficiaries and their advocates to appeal observation decisions, regardless of whether the decisions are made by attending physicians or hospitals’ UR committees. Moreover, despite the lack of clarity about beneficiary appeal rights, some beneficiaries have filed appeals and prevailed. In January 2010, Administrative Law Judge (ALJ) P. Arthur McAfee overruled a decision by Maximus Federal Services and held that a Medicare beneficiary’s entire five-day stay in an acute care hospital should have been covered by Medicare Part A. The beneficiary’s physician had ordered that she be admitted “for inpatient care secondary to a diagnosis of an L1 compression fracture.” Her condition was “fair” and she required monitoring, assessment, and intravenous fluids, including multiple doses of intravenous morphine. On her third day in the hospital, October 25, 2008, she was notified that her status was being changed from inpatient to outpatient. On appeal, the Quality Improvement Organization (QIO) found that inpatient coverage was appropriate for days three through five, October 25-27. The QIO did not review the beneficiary’s observation status for the first two days of her hospital stay. On appeal, Maximus issued an unfavorable decision, finding that the claim had already been processed for payment. The ALJ cited the Medicare statute and two Manual provisions as guiding his analysis. First, he cited the Medicare Benefit Policy Manual, which describes the decision to admit a patient [as] a complex medical judgment which can be made only after the physician has considered a number of factors, including the patient’s medical history and current medical needs, the types of facilities available to inpatients and to outpatients, the hospital’s by-laws and admissions policies, and the relative appropriateness of treatment in each setting. A second favorable decision, issued by Maximus on November 10, 2009, involved “a 79-year old man who presented to the emergency room (ER) from his assisted living facility with progressive altered mental status over the prior week.” The man had been “fully oriented,” but at the time he was brought to the ER, he was “quite disoriented” or delirious. The Maximus decision recognized that “Delirium represents an acutely life-threatening condition, evaluation and management of which can be complex and extended.” Although it turned out that the management of the patient was not complex, Maximus wrote, “it was not reliably predictable at the time of admission that the necessary work-up of the balance of the differential diagnosis would have been able to be completed within a reasonable period of hospital observation.” Relying on the Medicare Benefit Policy Manual, Pub. 100-2, Chapter 1, §10, the same provision relied on by the ALJ in the decision discussed above, and on the Program Integrity Manual, Pub. 100-8, Chapter 8, §6.5.2, Maximus authorized inpatient hospital coverage for the entire five-day period. A third decision addressed the denial of coverage for a 30-day stay in a SNF because of the absence of a three-day prior hospital stay, despite the fact that the beneficiary, classified as an outpatient receiving observation services, had been hospitalized for 13 days. Following a telephone hearing, ALJ Michael D. Bartko ruled both that the beneficiary met the three-day qualifying hospital stay required for SNF coverage and that she needed and received Medicare-covered care in the SNF. The fourth decision addressed whether a Medicare Advantage beneficiary’s inpatient hospital admission ended, as set out in the Notice of Denial of Medicare Coverage, or should continue. The ALJ discussed the hospital’s reliance on InterQual criteria, which are also used in observation cases to determine whether a beneficiary should be classified as an inpatient. At the ALJ level, the hospital was required to produce the patient’s complete medical records, the CareEnhanced Review Manager Enterprise (CERME), and the InterQual/McKesson Manual. The ALJ found “a significantly limited independent review of the approximately 6000 pages of medical records in this case [italics in original]” by the QIO physician who cited physical therapy notes, wound care notes, and a single physician note in upholding the discharge notice. He then described the InterQual Manual and CERME as proprietary tools that are used for various purposes, including “coverage denial management programs.” He wrote, “Information is obtained from patient medical charts and from other captured data which is input into a software program that generates a summary report.” Although the ALJ sealed the InterQual and CERME documents because they were proprietary, he found that “the inputs are very subjective” and that, in this case, they were “inconsistent with the known medical treatment” provided to the patient, as described in her medical records. He concluded that the patient’s inpatient stay was medically necessary and that Medicare coverage properly continued after the beneficiary received the notice denying further coverage. What Should Beneficiaries and Their Advocates Do? The Center for Medicare Advocacy suggests that beneficiaries file an appeal from any hospital notices describing their observation status and any subsequent Advanced Beneficiary Notice/Notice of Exclusion from Medicare Benefits they receive from a SNF. In the likely absence of any notice, particularly from a hospital, the Center recommends that beneficiaries appeal when they receive the Medicare Summary Notice, which sets out all health care services received by a beneficiary in the prior quarter. In all cases, beneficiaries and their advocates should gather the complete medical records from the hospital to establish the entire set of services and treatments that were received during the period of hospitalization. Advocates should request copies of all documents used by the hospital, its UR committee, and outside consultants to determine beneficiaries’ status. Advocates should present the medical and nursing facts and cite any physician support for inpatient status to demonstrate that the beneficiary met Medicare’s criteria for an inpatient stay. If SNF coverage is also at issue, advocates must demonstrate not only that the beneficiary met the criteria for Medicare-covered care in the SNF but also that the beneficiary received Medicare-covered care in the SNF. Advocates should not be discouraged if they lose at the early stages of appeal: reconsideration, QIO, and QIC review. Three of the four cases discussed in this Alert were won later, at the ALJ level. The increasing use of administratively-created observation services is undermining the Medicare Part A hospital benefit, which authorizes inpatient hospital care for both diagnosis and treatment, by essentially redefining diagnosis as observation under Part B. Observation services also violate the Medicare statute by allowing hospital UR committees to issue retroactive and binding determinations that a patient, admitted to inpatient status by the patient’s attending physician, is instead receiving observation services. 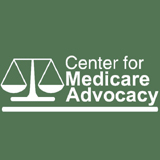 The Center for Medicare Advocacy is interested in hearing from advocates, beneficiaries, and providers about their experiences with hospital Observation status, including issues stemming from the lack of notice and the inability to use existing appeals processes. For more information, or to share an experience with observation services, contact attorney Toby S. Edelman (tedelman @ medicareadvocacy.org) in the Center for Medicare Advocacy’s Washington, DC office at (202) 293-5760. “When Is a Hospital Stay Not a Hospital Stay? When the Patient Is in ‘Observation Status,” (Dec. 11, 2008 Weekly Alert), http://medicareadvocacy.org/InfoByTopic/SkilledNursingFacility/SNF_08_12.11.ObservationStatus.htm. Medicare Benefit Policy Manual, CMS Pub. 100-02, Chapter 6, §20.6; same language in Medicare Claims Processing Manual, CMS Pub. 100-04, Chapter 4, §290.1. Medicare Claims Processing Manual, CMS Pub. No. 100-04, Chapter 1, §50.3, originally issued as CMS, “Use of Condition Code 44, ‘Inpatient Admission Changed to Outpatient,'” Transmittal 299, Change Request 3444 (Sep. 10, 2004). CMS, “Clarification of Medicare Payment Policy When Inpatient Admission Is Determined Not To Be Medically Necessary, Including the Use of Condition Code 44: ‘Inpatient Admission Changed to Outpatient,'” MedLearn Matters (Sep. 10, 2004), now at Medicare Claims Processing Manual, CMS Pub. No. 100-04, Ch. 1, §50.3. “Use of Condition Code 44 is not intended to serve as a substitute for adequate staffing of utilization management personnel or for continued education of physicians and hospital staff about each hospital’s existing policies and admission protocols. As education and staffing efforts continue to progress, the need for hospitals to correct inappropriate admissions and to report condition code 44 should become increasingly rare.” Question and Answer 3. The Center’s December 11, 2008 Weekly Alert addressed various notices that beneficiaries might receive advising them of appeal rights. See footnote 1, supra. ALJ Appeal No. 1-517883673 (Jan. 8, 2010), available at: www.medicareadvocacy.org\InfoByTopic\ObservationStatus\Decisions\VT_ALJ_01.10.pdf. Pub. No. 100-2, chapter 1, §10. Pub. No. 100-10, chapter 4, §4110. Medicare Appeal No. 1-496442359 (Nov. 10, 2009), available at: www.medicareadvocacy.org\InfoByTopic\ObservationStatus\Decisions\MN_Maximus_11.09.pdf. ALJ Appeal No. 1-380068132 (April 9, 2009) available at: www.medicareadvocacy.org\InfoByTopic\ObservationStatus\Decisions\WI_ALJ_04.09.09.pdf. ALJ Appeal No. 1-424979831 (Dec. 9, 2009), available at: www.medicareadvocacy.org\InfoByTopic\ObservationStatus\Decisions\CA_ALJ_inpatient_InterQual_12.09.pdf. The Medicare statute defines “hospitals” as providing both diagnostic and treatment services to inpatients. 42 U.S.C. §1395x(e)(1)(A). It similarly defines “inpatient hospital services” to include diagnostic or treatment services. 42 U.S.C. §1395x(b)(3). Entry filed under: Medicare, Nursing Home Rights, Uncategorized. I need advice. I work in physical therapy and have a good knowledge of the system. I would appreciate any guidance at this point. A relative of mine was taken to the hospital on saturday and diagnosed with a stroke affecting her leg and renderring her dependent on others until she can rehabilitate. She was in the hospital sat, sun and most of monday. The hospital is reporting that she was placed on observation, therefor did not have a qualifying 3 day stay for SNF coverage. She did recieve medication for BP of over 200/100 at time of admission. Numerous other tests were performed during her stay. To my knowledge, my father, who is Power Of attorney, did not get a notice of non medicare coverage. Now my relative has to pay out of pocket for SNF care until she is able to return home. We need help on starting the process of appealing with contact information on who to contact. This relative is 101 years old and up to the time of her stroke had been living independently . She has put her fair share into the medicare system for all these years. Where are they when she needs benefits that she deserves? Thank you in advance for any thoughts or guidance. It is so disheartening and frustrating to see. Please contact Toby Edelman in our DC office about this at (202)293-5760 or tedelman@medicareadvocacy.org.